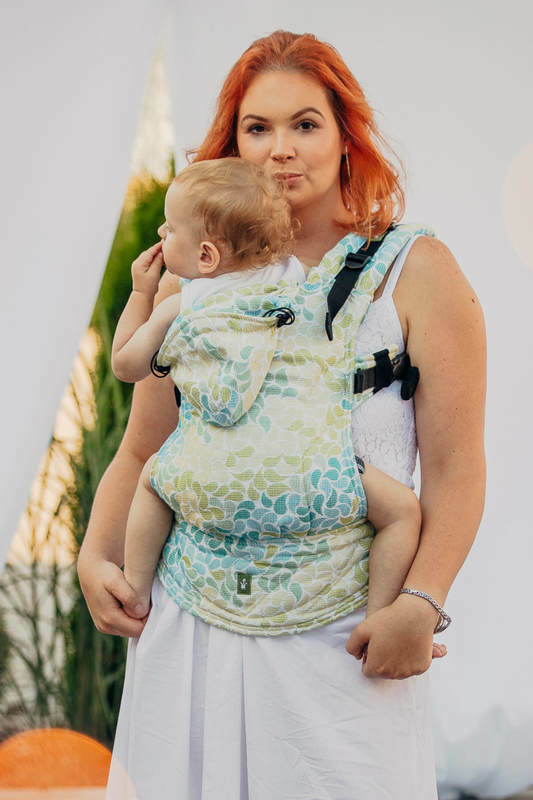 Lenny Lamb full wrap conversion baby carriers are so soft and comfortable, they make carrying your baby easy! No Returns on Carriers per our store policy. Thank you. 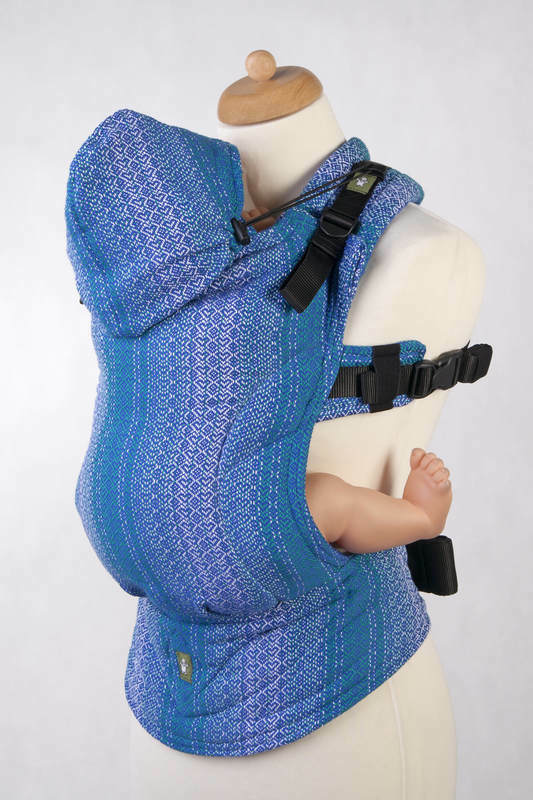 Lenny Ergonomic Carrier, Baby Size, jacquard weave 100% cotton - second generation. Note: Lenny Lamb carriers are handmade. Each one of them is unique and, therefore, the pattern placement may vary from the one presented in the pictures. 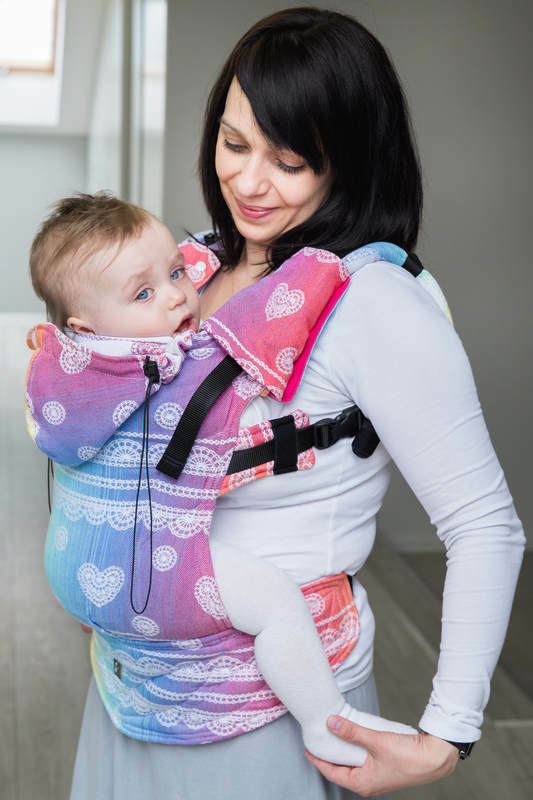 LennyLamb Ergonomic Carrier is a type of a structured carrier for which we have designed a special system of the straps and buckles to assure a perfect fit! 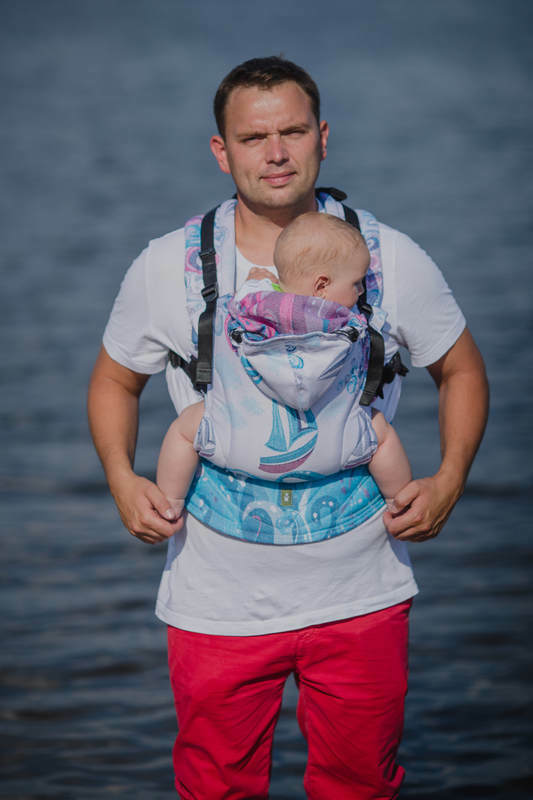 While designing the carrier it was our priority to make sure that your baby is carried in a secure, healthy and comfortable way. Your comfort is also a huge priority for us. Therefore, we created a structured carrier of the highest quality components! 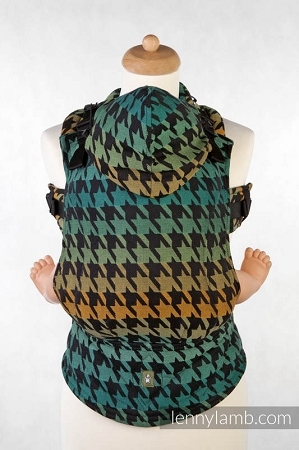 -Made of LennyLamb fabrics - highest quality fabrics made of the finest yarn. All yarn and used in LennyLamb fabrics have been Oko-tekst standard 100 certificate. 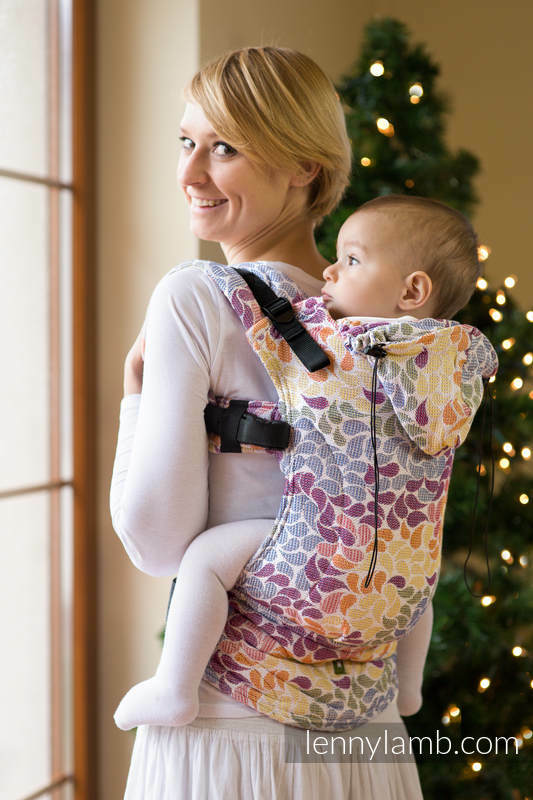 I bought this carrier in Colors of Life and am so happy that I did. It is so comfortable for both me and baby. 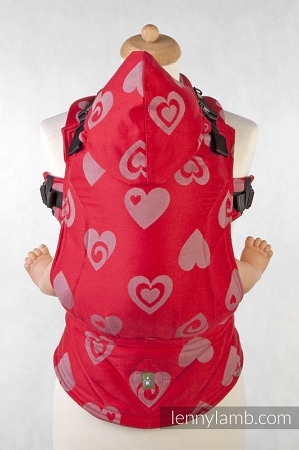 I usually am a fan of kinderpacks but I love the softness and stretch as this carrier is made from a wrap. The hood is also really awesome, adjustable, and fits on my 10 month old's head perfect. At 10 months my son fits perfectly now, but it's apparent that he will fit in it for a long time to come. 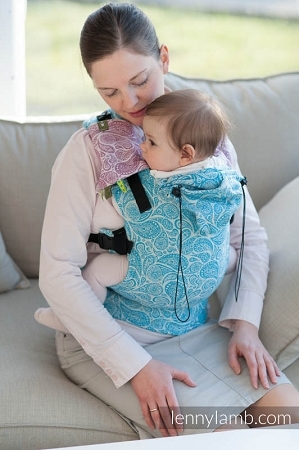 This is the softest, most comfortable carrier I've had. I can wear it for hours without any complaints. My baby loves it too. The prints are gorgeous.